Forum Auctions, relative newcomers to the antiquarian book trade, operate from a Victorian building close to Battersea Park. From the late 1700s, venture capitalists took advantage of Dundee’s outstanding location for Baltic trade. Shipping records show regular connections to Archangel for flax from the growing areas north of Moscow, large imports from St Petersburg when the White Sea was frozen, and quantities of cheaper flax from Latvia and Estonia, shipped through Riga. Today's pictures shows an opulently-illuminated manuscript on parchment written and illustrated in Florence around 1490. 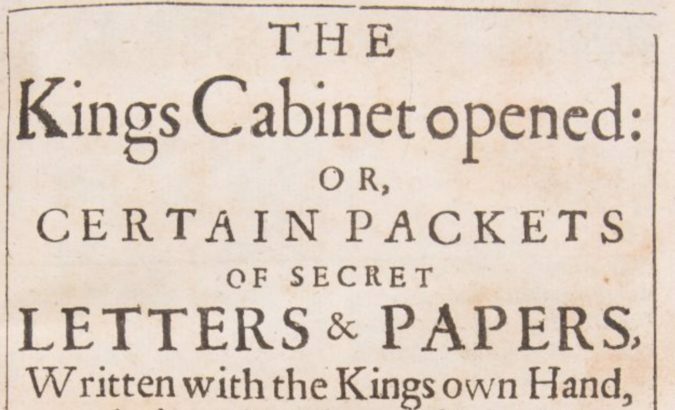 AMONG the great treasures of the British Library are the Thomason Tracts, a remarkable collection of 17th Century Civil War-period printed pamphlets and news-sheets. SLIPWARE IS not something to be found in the unmentionables department of M&S.